Not all men with male-pattern baldness are willing to try hair transplants. For some of them, nothing else beats natural hair. If they receive transplants, they would still have to live with the fact it is not real hair. No amount of fake hair is enough to restore what they lost. It is only natural for some men to feel at odds with transplants. Studies, however, confirm that they should visit the nearest UK hair transplant expert. Research reveals that people see balding men as older and less good-looking. A study from the John Hopkins University School of Medicine in Baltimore, USA involved 122 adults between the ages of 18 to 52. The researchers asked the participants to look at the side by side photos of 13 men. 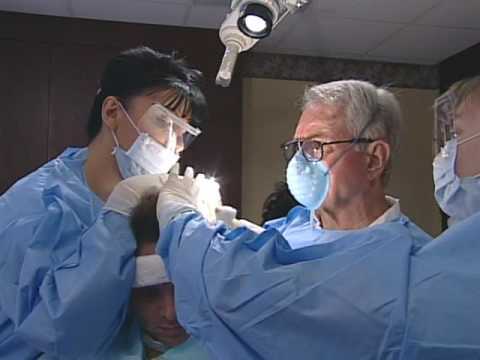 Out of the 13, seven suffered from age-related hair loss, which they remedied with a hair transplant. The remaining six did not undergo a hair transplant. Researchers used them solely for comparison purposes. Participants were to rate the men according to their attractiveness, presumed age, approachability and level of success. The results? Many of the participants favoured the men who got a hair transplant. In their opinion, these men looked younger, more vibrant, more trustworthy and attractive. For some men, a head full of hair makes a difference in how they view themselves. When they suffer from hair loss, it can be a painful blow to their self-esteem. Despite the availability of hair transplant, however, they hesitate. The worry about the aesthetics of hair transplant is normal. After all, some practices fail to achieve the natural look guaranteed by the procedure. It is important that this work is done professionally; otherwise, it might look fake and ridiculous. Balding men who want a better appearance should only work with reputable hair clinics. When they book an appointment, experts will assess their situation and recommend treatment according to their facial structure. Men who wish for a younger look should not hesitate to visit the nearest hair clinic. As the study proved, it would make a big difference in their appearance and self-esteem.